There is a huge choice of safes in the market and it is difficult and sometimes confusing to make a buying decision without some guidance. We have therefore compiled a short buying guide to help you, although you can of course ring us for advice if you prefer. We are always happy to help. You may want to purchase a safe due to either an event that has triggered your need to buy a safe or simply because your insurance policy states that you need to have one for your property or business. Ultimately, you purchase a safe to protect an item from being stolen or damaged in the event of a burglary, fire and increasingly flooding. Most safes will show an insurance rating designed to indicate the level of security that the safe will provide. The higher the insurance rating normally means the more secure the safe is, however you should always check with your insurance underwriter that they will actually cover you for the value you need. Just like all insurance the value may vary depending on you individual circumstances. You may initially only need a safe to protect cash and valuables, however, many people eventually keep the following items in their safe, so it is important to chose a safe that is big enough! When purchasing a safe consider what would happen if you lost the key or forgot the code to gain entry. Not all brands offer a key replacement or code retrieval service, which you may need very quickly to gain access to your safe. Safelincs’ suppliers provide a key replacement and code retrieval service to ensure that you can access your safe again quickly (special exceptions apply). You will need to keep some evidence, such as an invoice, about your purchase in a safe place, however this should not be in the safe itself, so that when the need arises you can quickly request a new key or a new access code. There is a myth that all safes will offer a level of protection against fire, however, because steel is a good conductor of heat, ordinary safes become an oven if exposed to fire and will incinerate its contents unless the safe has a fire resistant barrier in the body and door. 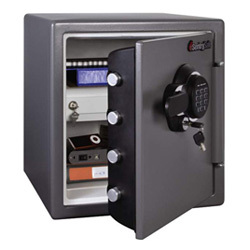 Fireproof safes, also called fire safes, are designed to protect the contents from fire while still providing some level of protection from theft. It’s important that all safes claiming to offer a level of protection from fire have this independently certified from a 3rd party test agency. This is important because you want to be able to trust the safe you have purchased to perform exactly in accordance with the manufacturer’s claims. Some fire safes in the market also protect its contents from water. 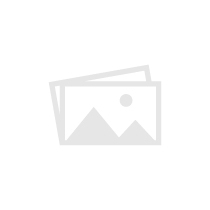 There are two grades of water protection. Protection against immersion (flooding) and protection against spray (from a fire fighter’s hose). We offer a range of specialist fireproof safes for the permanent storage and protection of hard drives. These hard drives stay inside of a fireproof safe and are powered and linked to via a USB connection that passes through the wall of the safe. This allows you to automatically create computer backups to external hard drives which are stored in a fireproof safe without ever having to move or unplug hard drives for backup purposes. 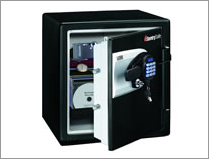 All safes purchased from Safelincs come with free delivery to your door. An indoor delivery can be quoted by us. Safelincs offers a free replacement after a fire should your safe be affected by a fire.